You know the feeling...the "check engine" light comes on and your heart sinks. Maintaining your car and keeping it in good running condition is important, as we tend to be lost without our vehicles. And because it's a complex machine, we can't deal with it ourselves. That's why we need a business like Mason County Auto Parts & Service--your Parts Plus dealer in the Ludington and Scottville areas. They are the next generation of automotive service, offering competitive prices that make it worth the seven mile drive from Ludington for car repair. They are a state-certified, full-service auto shop with over 30 years experience. 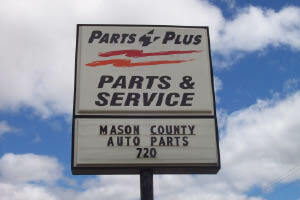 The friendly, knowledgeable team at Mason County Auto Parts & Service has the best customer service. They're a smaller operation than some places...but most times, they will beat any quote on shop work you bring in. Their prices are that good. These are not your run-of-the-mill mechanics. They are honest and trustworthy...explaining the repairs in language you can understand. Mason County Auto Parts offers state-of-the-art computer diagnostics to get to the heart of the problem. Bring in your car or light truck for anti-lock brake service, tune-ups, chassis, engine repair...and they're experts in air conditioning. Machine shop services include flywheel and cylinder head testing, resurfacing, and press work. 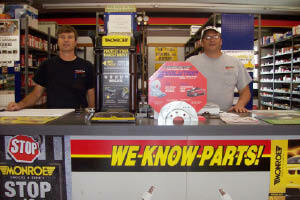 Mason County Auto Parts is a Parts Plus dealer in Scottville, and they always use name brand, premium parts. These are brands that stand the test of time, like Goodyear belts and hoses, Interstate batteries, Raybestos brakes, AC Delco, and Lucas oil products. They also make Sherwin Williams automotive paint. 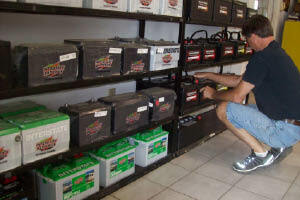 Mason County Auto Parts & Service is the last privately-owned parts and service business in the area. They are part of this community and are here to make your life easier...at least when it comes to auto repair. Quality parts, top customer service and the best prices---three good reasons to bring your vehicle to Mason County Auto Parts & Service in Scottville.